I would like to take this opportunity to introduce myself. My name is Dr. Adam Stenerson. To give you a little background about myself, I was born and raised in the Sonningdale, Saskatchewan area, where my parents live and farm to this day. After graduating high school, I attended the University of Saskatchewan where I completed a Bachelor of Science in Physiology degree (2009) followed by a Doctorate in Dental Medicine (DMD) in 2013. 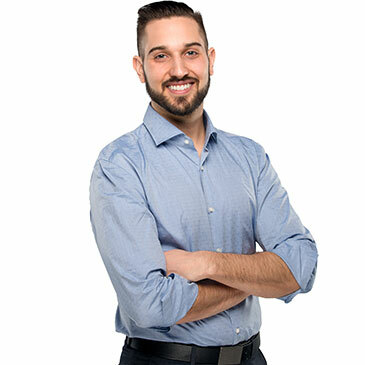 I am a member of the College of Dental Surgeons of Saskatchewan (CDSS), Canadian Dental Association (CDA), American Academy of Implant Dentistry (AAID), Academy of General Dentistry (AGD), and an Invisalign provider. I strongly believe in doing thorough preparation in order to provide my clients with the care you need and desire. I also believe in providing any education needed to make well-informed decisions regarding your oral health, which includes the most up-to-date and innovative solutions. I am very excited to announce that we will be accepting assignment of Dental Insurance for all patients, both new and existing. We would like each and every one of you (not to mention your family and friends) to be able to be a part of our practice. In addition, we will be extending hours during evenings over the next while to ensure we are available to you! I look forward to meeting you in person and all the staff is looking forward to seeing you again at your next dental appointment.